Digital and analog eurocard servodrives for brushless motors up to 20Nm. 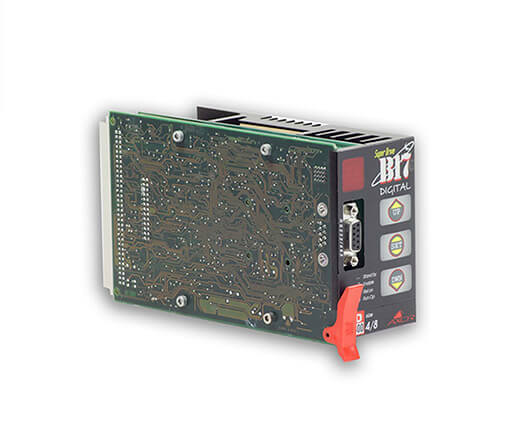 B17 Box has an internal power supply and braking circuit for B17 servodrives. RKB is a 2 to 6 axis rack system with built-in power supply for B17 servodrives.